ShoreTel’s Cloud Division, formerly M5 Networks, offers businesses of all sizes cloud-based phone solutions. With prospects updating their communications systems about once every seven years, it’s important for the brand to demonstrate that its products and services are reliable and offer capabilities that make an investment worthwhile. Amber Newman, senior marketing communications manager for the ShoreTel Sky family of products, sought a strategic marketing partner to create content that demonstrates her company’s expertise. Newman opted to launch a content marketing strategy with Brafton that captured the value of cloud-based business phone systems to show prospects ShoreTel is on top of the industry. By developing a comprehensive strategy with Brafton’s content marketing teams, the ShoreTel Sky website has transformed into a dynamic information portal. Pairing relevant industry insights with a broad product arsenal tells prospects ShoreTel is the company that can bring their communications systems into the 21st century. Newman and her team develop content of their own for the site’s blog and commercial pages, while Brafton’s editorial staff provides the consistent contributions ShoreTel needs to drive authority and web results. In the early stages of the relationship between Brafton and ShoreTel, Newman admits she had reservations. The technical nature of the subject matter alone was a concern, but Brafton’s dedication to carefully crafted content quickly became evident. Brafton’s strategy for ShoreTel includes a detailed list of keywords, as well as a combination of straightforward industry news and lengthier pieces that offer analysis to educate prospects further. One of the key campaign goals is to improve SEO to foster a stronger presence in search. Another leading goal is building brand authority through content that educates and influences buyers. “The content needs to keep visitors on our site,” Newman said. Brafton’s content covers a number of topics relevant to B2B buyers looking to upgrade their companies’ phone systems. The ongoing articles discuss cloud-based phone systems and enterprise telephony, among other focus areas, that appeal to website visitors by highlighting demand or tangible results. Coverage of a wide range of topics that interest buyers with different competitive or enterprise goals helps ShoreTel reach unique audiences. The industry’s prospect base has evolved over time, and different buyers have different informational needs. Aside from the news content, Brafton and ShoreTel work together to execute infographics that complement industry articles and appeal to diverse audiences. The company wants content that speaks to specific customer segments, using content marketing to support form completions on its site. Brafton’s content marketing strategists worked with ShoreTel to develop a strategy for using calls to action to optimize the conversion process. Measuring increased thought leadership and authority can be challenging, so defining the metrics that suggest greater influence in an industry is a critical first step. Brafton’s content marketing strategists use Google Analytics and other trusted tools to measure inbound links, keyword referrals and additional data to gauge improved niche authority. The industry news on ShoreTel Sky’s website has contributed to positive growth across these metrics. Since Brafton content went live in March 2012, the number of measurable keywords referring traffic has increased by more than 62 percent. The presence of keyword-infused content drives search presence for core terms as well as secondary phrases. 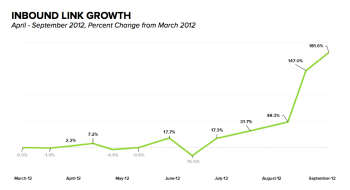 In general, organic traffic is up across the board. 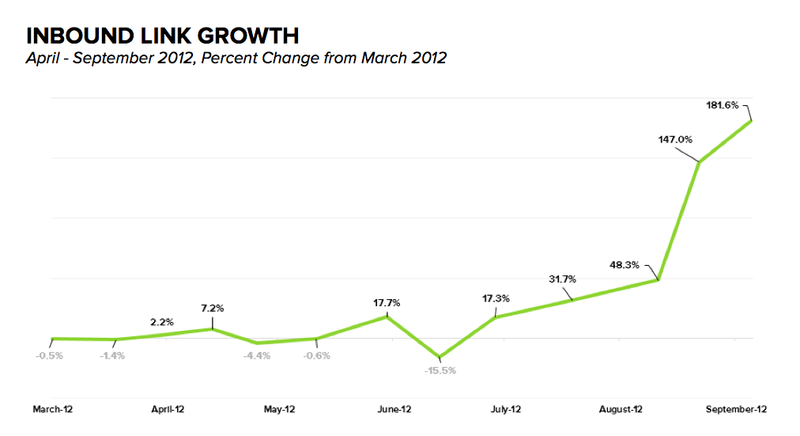 For Q3 2012, organic traffic grew 50.8 percent compared to the same time period in 2011. “It’s difficult to quantify thought leadership and awareness, but we think it’s a strong indicator that Brafton’s content has helped us win more traffic and information requests,” Newman said. Understanding the ways people endorse brands on the web is critical to assessing thought leadership. Inbound links from quality pages or influential social users suggest content stands out to people as credible and share-worthy. 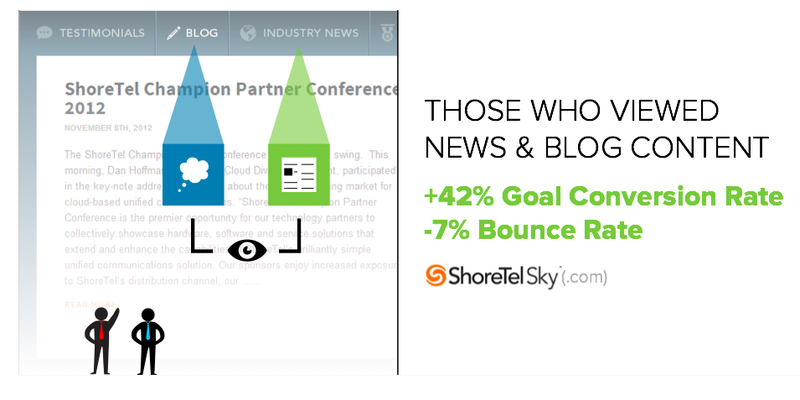 Diverse content contributed to a 181 percent increase in ShoreTelSky.com’s inbound links from March 2012 through September 2012. “Our content gets picked up by news aggregators and that’s been important in developing our brand’s thought leadership. Prospects who accessed the site’s non-commercial content (including blogs and Brafton-provided news) converted 43 percent more frequently than other website visitors in Q3 2012. 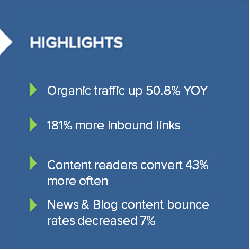 Beyond news and blog articles, traffic exposed to the site’s infographics produced a conversion rate twice as high as the site’s overall average, measuring from the launch of the first infographic in March through September 2012. The visual content demonstrates greater engagement, too. Infographic viewers have a 3 percent lower than the site average conversion abandonment rate and a 3 percent lower than site average bounce rate. As more prospects read content, Newman believes that their understanding of the ShoreTel Sky product line grows, and they enter the conversion funnel as a result. The news landing page, used as a hub for all of ShoreTel Sky’s industry news content, has proven vital to attracting new traffic. It’s become a top landing page and one of the most frequently accessed paccessing other pages. 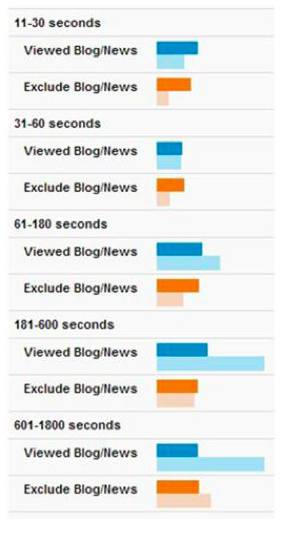 In fact, average time on site is consistently higher among prospects reading news and blogs than visitors who do not. it started working with Brafton. However, the contribution of regular, timely content detailing the merits of cloud phone systems helps convey this authority and distinguishes ShoreTel from other companies on the web.